I did these angry pancakes along with the tutorial which allowed me to become more familiar with Photoshop and manipulating my photo. It was really fun to change the images to become one picture that has a completely different effect on viewers. 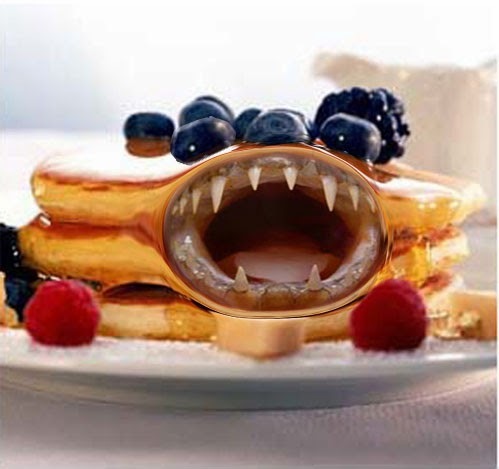 Instead of seeing a simple stack of pancakes or a fish with a mouth full of fangs, you see a pancake with teeth.